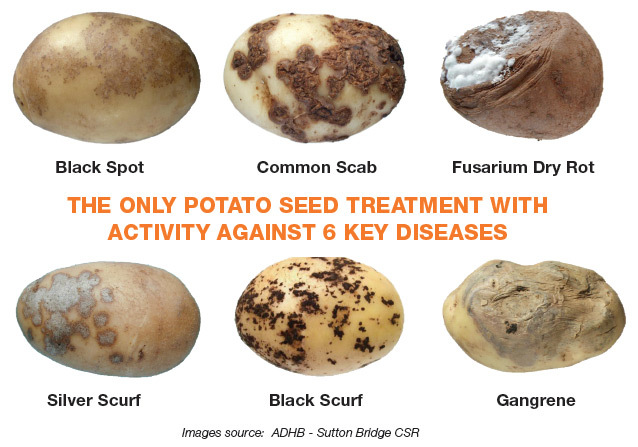 Syngenta is introducing VIBRANCE® PREMIUM, a new broad spectrum fungicide seed treatment for potatoes, to the Australian market in 2018 which will excite the potato industry. in the storage bins before planting. Windy conditions when bins are being tipped into planters can result in much of the dust to be blown away leading to efficacy issues as well as operator safety concerns. VIBRANCE PREMIUM, being a liquid formulation, offers an effective solution that adheres to the seed tuber and gives good all-round coverage. TECTO® and Fungaflor*/Magnate* can ONLY be used to treat seed potatoes prior to storage. Their activity against diseases is also limited to Gangrene, Fusarium Dry Rot and Silver Scurf. Rhizoctonia solani, which can cause stem cankering and black scurf on developing daughter tubers. 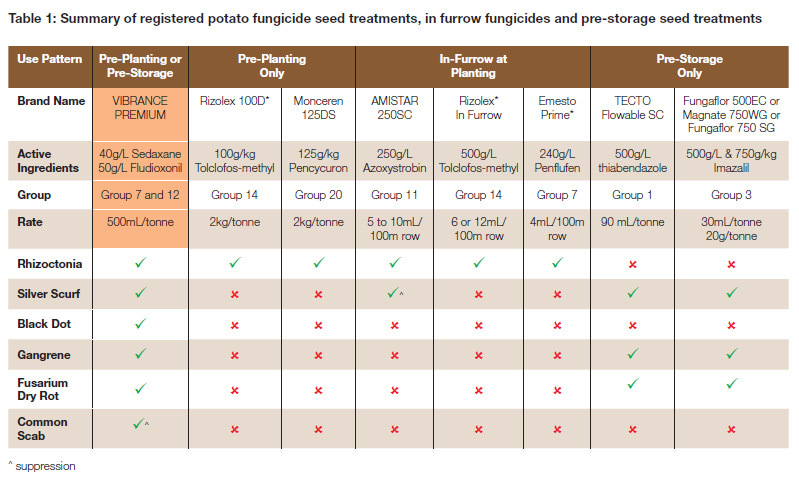 The following table summarises the various products available to assist potato growers in combating seed-borne, soil-borne and storage diseases.